How much flexibility does your application need? The standard Smartbrick® can cover a wide range of SHM needs just using its own embedded sensors, but from the field experience we learnt that each different application may have its own specific requirements. This is why the Smartbrick® features a variety of inputs for additional sensors, and this is why Sestosensor offers the possibility of ordering the device already equipped and pre-programmed with your custom mix of sensors choice. When dealing with a building damaged by differential settlements it is a common practice to place inclinometer sensors on the two parts that are believed to moving independently. To fulfil this monitoring requirement, the Smartbrick® offers one dedicated input for one additional inclinometer of the same type of the embedded one. 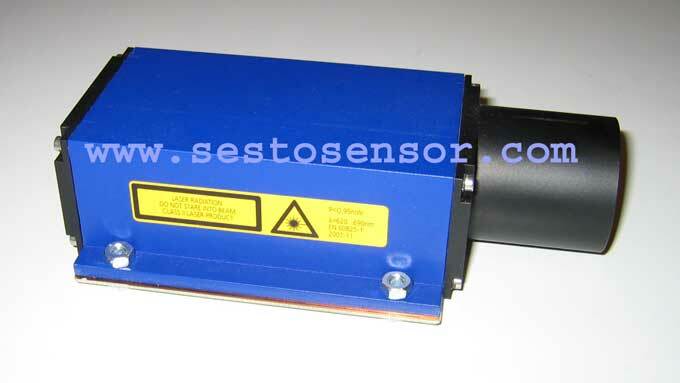 And Sestosensor offers the additional 2-axes 0.001° resolution inclinometer sensor (order code SI2-02) at a very competitive price. 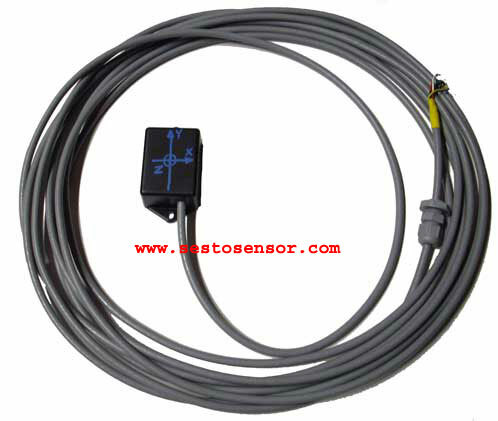 The external inclinometer features an embedded temperature sensor for thermal drift compensation. Dynamic monitoring sometimes requires to capture the vibration data of two points that are believed to move differently, such as what typically happens in seismically insulated structures. To fulfil such a need the Smartbrick® offers up to 5 12bit input channels that can be sampled simultaneously to the embedded accelerometers. 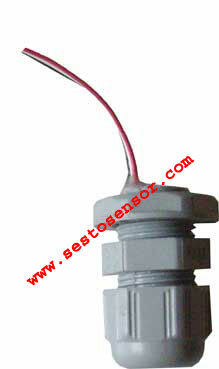 And Sestosensor offers a cost-effective external 3-axes MEMS accelerometer that matches the embedded one. 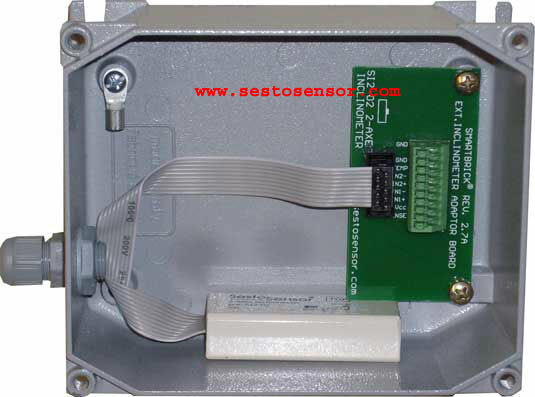 Crack gauges are common additional sensors in SHM monitoring. Sestosensor offers a cost-effective crack gauge that fulfils the most common SHM requirements: 50mm (2") stroke, 2kOhm resistance, 0.05% linearity, ball-joint connection ends and 2m (6.5') long shielded cable. When monitoring the behaviour of a structure, collecting the environmental data helps understanding the season-related drifts. 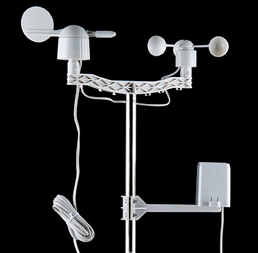 The Smartbrick® features a set of dedicated inputs for weather sensors and Sestosensor offers a cost-effective assembly that include a cup-type wind gauge with typical 0.1km/h (5.5 feet/s) resolution, a reed-type wind vane with 22.5° angle resolution and a tipping-bucket type rain gauge with 0.3mm (0.01") resolution. Some applications require to monitor the lowering of arches or beams against a fixed surface that stands beneath, or even to monitor the displacement between two walls facing each other at a certain distance. 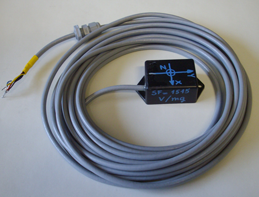 The common solution to similar problems is a draw-wire displacement sensor that however leaves an unpractical and even potentially dangerous wire trap between the measurement points. In addition to accepting the conventional draw-wire sensors, the Smartbrick® has a dedicated port for a cost effective LASER gauge that can resolve a 0.1mm (4/1000") displacement on a distance of up to 100m (328') between the gauge and the target point. 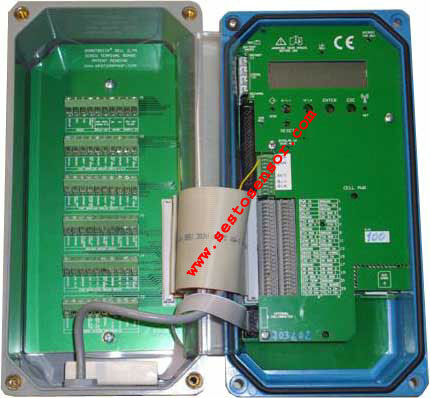 The Smartbrick provides also the power supply for the LASER gauge and can read also its internal temperature sensor. The Smartbrick® accepts up to 4 battery packs for ensuring the longest working life even when a power source is not available. Each spare battery pack provide a reliable and safe Li-MnO2 cell technology with 8500mAh stored energy. 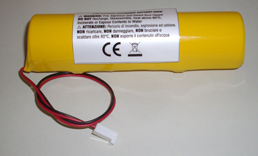 Special Li-SOCl battery packs (10'000mAh) or a 4xLR20 cell holder (6000mAh) are available upon request. The Smartbrick® connects to the internet through the standard GPRS cell-phone network. 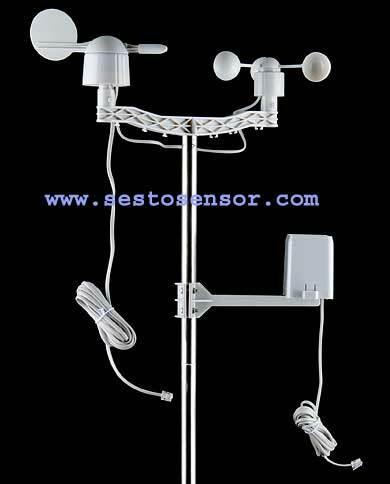 For the locations that exhibit a poor signal strength, Sestosensor offers a powerful 20dB gain directive antenna that can solve the poor signal problems and allow reliable operation even in rural or mountain areas. The Smartbrick® can be ordered with an internal industry-standard air humidity sensor for the full 0-100%Rh range. 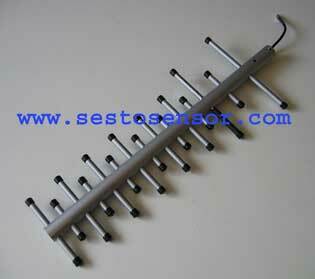 Operating temperature -40/+85°C (-4/+185°F), +/-3%Rh absolute accuracy and 1.2%Rh long term stability. 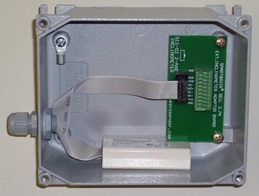 The Smartbrick® additional inputs are available on the embedded screw less terminal block, but when the going gets tough and you have to deal with more than a couple of wires we offer a convenient screw terminal board that can be installed on the bottom of the housing and provides easy access to inputs for additional sensors.